In the spring, we reported a whole issue of stories about food, drink, and farming around Tyler. We talked with local restaurant owners, organic agriculturists, and wine savants about how we eat and drink in East Texas. This week, we’re checking in on some of the new endeavors we reported on to see how things have progressed. Are these fledgling businesses or new projects succeeding? What’s been the biggest challenge? And what have our sources learned along the way? Six months ago, we wrote about a problem crippling innovation in Tyler’s foodie scene. 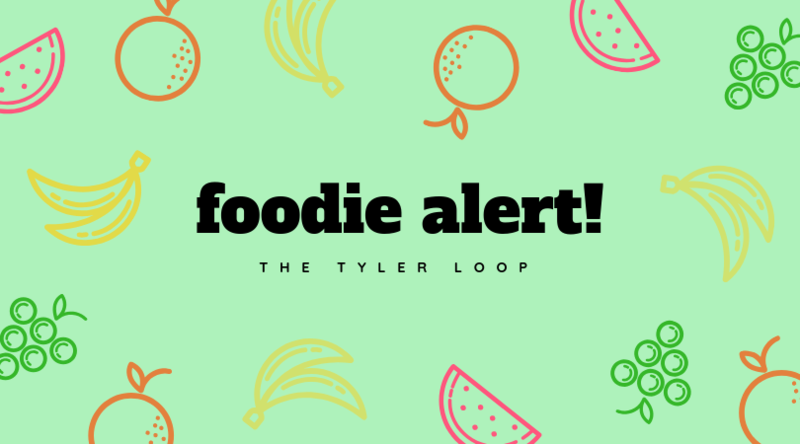 There’s a serious lack of commercial kitchen space in Tyler available for folks who want to open food trucks, sell prepared food at the farmer’s markets, or offer other non-traditional dining options. That lack of kitchen space is why M&K Provisions left town, and it’s partly why the hotly awaited downtown food truck park never materialized. Kat Santos, a veteran food industry professional, was bravely attempting to fill the void with a new enterprise called Food Worx, a 6,000-square-foot downtown facility offering not just rentable kitchen space, but also training, networking, and mentoring for food entrepreneurs and employees. Since then, Santos has made a lot of progress, and she says Food Worx is on schedule for a soft opening in October. She’s incorporated the business as a nonprofit organization, and has lined up a carefully selected list of initial clients, including two beverage companies, a meal-prep service, and “three mobile food trucks that nobody has seen yet.” A local restaurant supply company wants to demo their equipment to local restaurant managers at Food Worx, and another business wants Santos to offer sanitation and safety training. “We want to be a place where it will be affordable for individuals and small businesses to access all of these things,” says Santos. Food Worx is holding its first fundraiser in October; event information here. In March, we broke the story that the beloved Lola’s Handcrafted Sandwiches, which had shut down earlier this year, had found new owners and was coming back—in the same location, with its original chef still on board, and nearly the same menu. Since then, new owners Shawn and Rebecca Dunn have expanded the menu, expanded dinner hours, and secured a beer and wine license. Like several restauranteurs we’ve spoken to, Shawn says securing reliable staff has been a major puzzle. “We interviewed and interviewed and finally got the right people in the shop,” he says. Space is also a challenge. The Dunns opted to retain the original location, but quickly realized that they needed a bigger grill. The current building doesn’t really have room for that. They’ve added cold sandwiches to the menu to help ease grill congestion, but it’s not enough. Relocating isn’t necessarily in the cards, though. “One of the downfalls I’ve heard a lot about is moving into a shop that’s too big. Expenses can get really high, and you go from a cozy feel to a restaurant that always feels empty,” says Shawn. For now, the plan is to try and build additional storage onto the existing location. A lot of has happened at Red Moon Farm since we spoke in January. Three growing seasons later, Jessica and Justin Bullock, partners both in life and in running the farm, realized a longtime dream of planning an orchard on their 38-acre plot in Van. They applied for and received a grant from the Texas Department of Agriculture aimed at farmers under 40 years of age with at least some farming experience under their belts. “You pitch a project, tell them what you want to do over the course of a year, and they fund half of it through a matching grant program,” explains Jessica. To make up the other half of the needed funds, the Bullocks set up a GoFundMe campaign asking their community to donate $5,500 toward the effort. Today, the Bullocks are $100 shy of reaching their goal. In the meantime, the Bullocks are deep in the details of planning their orchard. “We’re meeting with experienced folks in the area who’ve worked with fruit and tree production, figuring out how to amend the soil, which nutrients these crops will need, what to place where,” says Jessica. They hope to plant peach, plum, nectarine, and apricot trees, and a few hundred strawberry and blueberry bushes. They’ll also include a number of perennial crops that they couldn’t afford in the past, like asparagus. Over the next few months, along with planting and harvesting their fall crops, the Bullocks and their small staff will be tilling and composting the orchard site and rooting their new trees and plants. In March, we spoke with Kiepersol’s award-winning in-house enologist and winemaker Michael McClendon about how he got involved in the wine business, how his science education at U.T. Tyler translates into his work today, and what it’s like being a black winemaker in an overwhelmingly white industry. McClendon also told us about a new side venture he was co-founding called Sages Vintage, a Nacogdoches-based company that works with grape growers across East Texas who need help crushing and bottling their fruit. “It’s up and running, and we were very successful in our first season,” says McClendon. “We realized we need more space and size; right now we’re just two guys in a barn. It’s a good problem to have.” This year, the company worked with Silver Spur Vineyards, Cannon Creek Vineyard, Teysha Vineyards, and Vine 2 Wine, a Winnie-based operation that picked up a couple of awards at a Texas wine competition this year.